Bombay High Court hiked the maintenance money sanctioned by a Family Court and ruled that a lavish lifestyle and luxury spending coupled with abundant use of Credit Card show the financial capacity of the husband and must be considered while deciding interim maintenance to the wife. The Division Bench of the High Court of Calcutta, contrary to the argument of the counsel for the National Investigation Agency, held that Section 5 of the Limitation Act, 1963 is applicable in the appeal filed under section 21 of the NIA Act, which provides for filing appeal to the High Court against the order of granting or dismissal of bail applications. The Court also observed in the appeals filed by the accused alleged to have been involved in extremist activities being the members of the banned Communist Party of India (Maoist), that the time taken for getting the certified copy of the order has to be excluded from the period of thirty days. The High Court directed the Union Public Service Commission to take necessary steps to include ‘Transgender/Third Gender’ as a gender option in the application form for the Civil Services (Preliminary) Examination. In yet another case of misuse of law made for the welfare and protection of women, the High Court [Sudesh vs. Suresh Solanki] dismissed two appeals filed by the appellant/wife challenging the dismissal of plea by a Family Court for restitution of conjugal rights under Section 9 of the Hindu Marriage Act, 1955, and granting decree of dissolution of marriage to the respondent under Section 13(1)(ia) and (ib) (cruelty and desertion). A Division Bench of Delhi Court on Thursday declared that the scheme of the provisions of the Finance Act 1994 (FA), do not permit the Directorate General of Central Excise Intelligence (DGCEI) or for that matter the Service Tax Department (ST Department) to by-pass the procedure as set out in Section 73A (3) and (4) of the FA before going ahead with the arrest of a person under Sections 90 and 91 of the Finance Act. The Bench termed the arrest of Mr. MK Pallai, Vice President of MakeMyTrip (India) Private Limited (MMT) contrary to law and it violated his constitutional and fundamental rights under Article 21 of the Constitution. 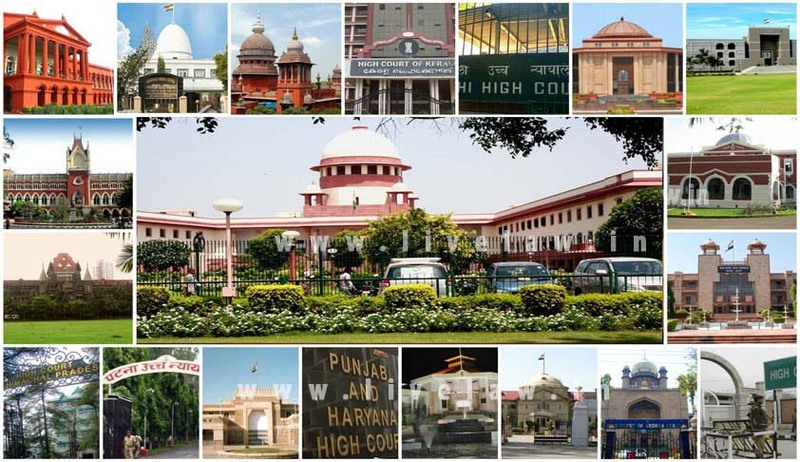 In a case concerning visitation rights of a parent, the Delhi High Court said mere hesitation on the part of the child to meet either parent should not be a ground to absolutely deny access to the child by that parent. Pointing out that divorce petitions are mostly rigged with exaggerated allegations against the spouse, the Court on Friday held that ‘the process of judicial decision-making in matrimonial affairs is riddled with complications’. In a significant Judgment [Siddharth International Public School vs MACT] the High Court directed Siddharth International Public School to admit a disabled boy who now has a prosthetic leg, under Weaker Section (EWS)/Disadvantaged Group (DG) Category by granting age relaxation. Taking suomoto cognizance of a news report about Anima Minz, a 19-year-old differently-abled girl who despite clearing NEET exam and securing calls from top colleges found her dreams quashed in the face of economic constraints, the Jharkhand High Court ordered the state authorities to meet her expenses towards admission in an institute and ‘explore and adhere to all modes’ to provide her educational assistance. The Kerala High Court filed its counter affidavit in a Petition filed by Advocate P.B Sahasranaman challenging the denial of Senior Designation by the High Court. The High Court has stated that there is no provision in the rules for maintaining the ballot papers used in the voting process. The High Court quashed the final report submitted by the police in the Kerala University Assistant scam and ordered further investigation in the case. Madras High Court recently directed the Trial Courts to treat victims and witnesses as Court’s Guests. Justice Dr.P.Devadass was considering applications under Section 482 of Code of Criminal Procedure filed by Accused persons in a corruption Case, challenging the Order of Special Judge by which he dismissed their Petitions to re-call the witnesses for cross examination. Rajasthan High Court recently dismissed a challenge by a Society of Retired Judges, against provisions of Rajasthan Advocates’ Welfare Fund Act which denies payment of Advocates Welfare Fund to a person who gets himself enrolled or resumes as an Advocate after serving under any employer for a period of not less than fifteen years. Observing that the objective of compassionate appointment is to mitigate the hardship of the family of bread winner and hence should be provided immediately, the High Court stated that the appointment has no correlation with the amount receivable under a statute i.e., MV Act occasioned on account of accidental death.